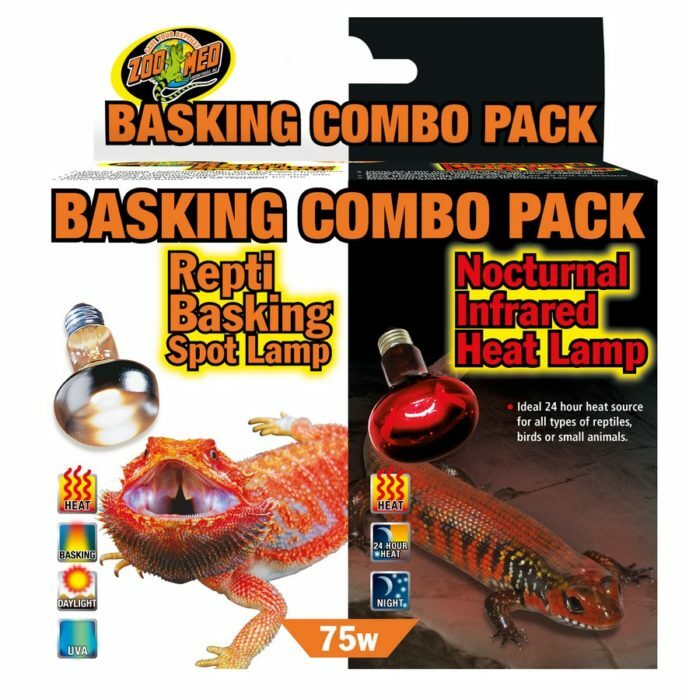 Basking Combo Pack | Zoo Med Laboratories, Inc.
2 bulbs for day and night heating, 1 spiffy package! It’s Zoo Med’s Basking Combo Pack! 75 Watt Basking Spot® Lamp. The #1 Selling “basking lamp” for all types of reptiles. Patented computer designed “double reflector” focuses 35% more light/heat in the beam than other reflector bulbs. Lasts up to 2,000 hours. 75 Watt Nocturnal Infrared Heat Lamp. Ideal 24 hour heat source for all types of reptiles. Excellent for nocturnal viewing of your animals. European quality for long lasting burn life.